Don't let this happen to you! November is the time of year when the postponing catches up to people. The huge tasks we avoided all summer stare us in the face. Do absolutely nothing, and you run the risk of a summer lost pulling epoxy from your hair instead of sailing. If your boat is actually 20 years old or even older, a fuel tank replacing-- a bear of a project, even in optimal circumstances-- may be that project you're delaying. If it is, well, you're in luck, since we've got a reasonable bit of information to help guide you through the process. Marine consultant and technical writer Steve D'Antonio wrote an extensive article about tank replacing previously. The following excerpt from that short article deals explicitly with aluminum, however, there certainly are other options. Aluminum is a common substitute fuel tank material choice for most installations. It is simple to work with, easily obtainable, relatively inexpensive, light, strong, and corrosion resistant, although far from corrosion-proof. There certainly are some prerequisites whenever selecting aluminum for fuel tank fabrication, and some important installment details which must be followed. The alloy used must be 5052, 5083, or 5086 series and a minimum of.09 inches thick. This specific gauge is ABYC authorized, but, 1/8-inch (.125 inches) is preferable, and 1/4-inch (.25 inches) should be considered when it comes to "extreme" applications, like bilge installments or perhaps where optimal resilience and longevity is sought. Every fraction of an inch of wall thickness will buy more years of life, especially if the installation is less than perfect. If aluminum possesses many good characteristics, why use anything else? Unfortunately, as many boat owners will attest, aluminum is anything but indestructible. Among its primary weakness is its susceptibility to some deterioration, especially pitting, galvanic, and poultice. Pitting is caused by upsetting the corrosion-resistant film formed on the surface area of aluminum, sometimes as a result of variations in available oxygen. As soon as it takes a foothold, the pit grows deeper, which produces a more powerful cell, speeding up the next type of corrosion, which is galvanic. Galvanic corrosion is the interaction between dissimilar metals in the presence of an electrolyte. In aluminum tanks, this particular procedure may occur among a copper-alloy fitting (brass or bronze) and seawater, or between a pitted aluminum surface and seawater. You must make sure that all metals that are actually in contact with the tank are compatible with aluminum. To prolong the tank's life as well as minimize the chance of any possible harm, bonding the tank is also a good idea. Bonding the tank is an American Boat and Yacht Council requirement for several reasons: to avoid electrocution for shore-power-equipped vessels, to mitigate lightning damage, as well as to prevent side-flashes (electrical current jumping in between metal components during a lightning strike). According to the ABYC, the boat's bonding system, the DC negative system (which includes the engine block and battery negative), and the AC safety ground all must be connected and remain at the same potential. The resistance between any two components in this system should not exceed 1 Ohm. (It's essential to keep in mind that any bonding wire attached to the engine block must be sized to safely carry full engine cranking amperage.). Bonding the tank minimizes the possibility of damage caused by stray current corrosion, and it prevents static electricity build-up on or in the tank, which could result in a spark and explosion (admittedly not likely on diesel installations). If the tank is bonded, and the bonding system is actually correctly attached to an underwater hull zinc anode, then this anode might provide some corrosion protection to the tank. Poultice corrosion results when aluminum continues to be in constant contact with a wet surface, like wood, carpeting, insulation, or stagnant water. If allowed to make contact, these demons are the precursors of an early death for any type of aluminum tank. The result is actually prodigious quantities of white, gooey aluminum hydroxide. (It looks like freezer-burned vanilla ice cream.) This will rapidly jeopardize the tank surface. The greatest defense from this specific scenario is careful attention to installation details. No hygroscopic material should be permitted to make continuous contact with an aluminum tank, period. A suitable aluminum tank installation requires 1/4-inch by 2-inch strips of non-hydroscopic material, like neoprene or high-density plastic (Starboard for example), spaced two inches apart and positioned in between the tank bottom and the shelf on which it is installed. This will certainly prevent the tank from resting in water, and also enables air to circulate underneath the tank, while enabling condensation to evaporate. Furthermore, the installer must make sure to bed or glue the insulating material to the bottom of the tank. In case this is not performed, water or condensation will certainly find its way in between it and the tank, and corrosion will set in. Any other mounting arrangements, such as cribs or beams, must feature this insulating material. Visit http://raritaneng.com for all of your marine products needs. Raritan Engineering your marine products experts would like to share with you these topics we thought would be of interest to you this month regarding how sailing is one of the best sports ever. Your marine products specialists feel that whether you sail competitively or not, there’s very little that can beat the sensation of being out on the water, wind filling the sails, harnessing the power of nature and relying on your skills and expertise. Sailing is a great way to bring peace and quiet into our busy lives; the simple sounds of the wind as it fills the sails, or the water as it flows past the boat can be very relaxing and centering, a perfect antidote to the stresses of the modern world. It gives busy people the understanding that they can relax, whilst at the same time focusing on sailing. As you step onto the boat, the busy world that you’re so used to starts to fade away. As you sail away from the shore, the things that happen on land become small, background concerns. A large part of sailing is about experience, self-confidence and learning the right skills. Moment to moment, you develop an understanding of what needs to happen to keep yourself, your crew and the boat safe and get to where you need to be. Sailing is a very pure form of being with nature. Whether that’s capturing the wind in the sails to propel you along, feeling the currents in the river or the sea or understanding how the weather is going to affect the boat, you learn a tremendous amount of respect for the natural world. So don't forget to browse our marine products selection here at Raritan Engineering. Sailing needs a good, consistent, constant focus; it demands your attention. Your marine parts depot specialists know that the wind and water are dynamic, and understanding any changes that you need to make, especially if you are sailing competitively, is vital to doing well. Sailing can bring you closer to others, enhance your own experiences and deepen your connection with the world around you. It demands attention, creates challenges and helps you understand your own strengths. So don't forget to buy your marine products here at Raritan Engineering where we take care of all your marine supply needs. Raritan Engineering your marine products analysts would like to share with you these topics we thought would be of interest to you this month regarding an introduction to the kite sailing world. Your marine products experts say, wind junkies beware, there is a new sailing discipline out there that might just force your wallet open, rearrange your life's priorities, and produce a little friction on the home front. But don't worry, those few nights you might have to spend on the couch will be worth it, I can assure you. Kite-sailing (or kite-surfing) has arrived on the scene and is causing quite a disturbance in the households of windsurfers, wake boarders, and small-boat sailors alike. Your marine products distributors professionals know that because they use a large kite to harness the wind, kite-surfers can enjoy the rush of speed sailing, the freedom of wake boarding without a boat, and the ability to fly higher than any wind-surfer has dreamed of jumping. In its infancy, this sub-sect of the sport had plenty of problems that hindered the average waterspouts enthusiast from joining in the fun. First, the main issue was how to make the kites safe for beginners. The second issue was designing a kite and board combination that would allow a person to travel upwind so that a user could take off from a spot and not have to have a shuttle car or boat set up five miles downwind. The third and final issue was figuring out how to make the kites re-launchable from the water. In 1984, Bruno and Dominique Legaignoux invented an inflatable, elliptical kite that if allowed to crash into the water, would stay on the surface and could be relaunched into the air with little effort. So how does a conventional sailor get started? We'll if you remember how difficult it was to get that first ride aboard a windsurfer, you'll realize that knowing a few important aspects about this new discipline can truly help accelerate your rate of learning. Your marine products pro shop analysts say that the first thing to do is find an instructional video. Most kite dealers will have a few to choose from, but one video recommended across the board is Boost. No matter where you're located or what water sports background you have, kite sailing is fun, but unusual enough to present a steep challenge for the beginner. The good news is that the learning curve is nearly vertical, so it won't take too long before you are up and riding. We encourage you to browse our marine products selection at Raritan Engineering and see how we can take care of all your marine supply needs. Your marine parts depot specialists know that ram-air kites are basically rectangular kites that allow air to flow into chambers and inflate, thus giving the kite its shape and rigidity, allowing it to perform. The advantages of ram-air kites are that they're extremely maneuverable, and due to their flat design, have more power per square meter than their inflatable siblings. Your marine products international experts feel that the biggest advantage to an inflatable kite is the fact that air bladders make this kind of kite easier to water launch. Another plus is that if the pilot crashes the kite, and for some reason cannot get the kite back in the air, the bladders also provides flotation in case the user has to paddle the rig to shore for whatever reason. Inflatable kites are launched close to the neutral zone, (almost perpendicular to the wind direction), thus making them more controllable when self-launching. Inflatable kites are by far the more popular of the two. But should you choose to purchase an inflatable there is more information you'll need to know. There are different types of inflatable kites on the market. The first type is called two-line. Yep, you guessed it, the kite is controlled by two lines. These kites are remarkably simple to set up, very easy to water-launch, but when flown are fixed in a fully powered angle to the wind. So if the wind gusts, you are going to feel it and have to compensate. If you decide to follow the trend and get into kite sailing, another thing you'll want to know about is the idea of aspect ratio. In a vast oversimplification, aspect ratio refers to the shape of the kite and specifically the curve from end to end and width. Somewhere east of Winnemucca, Nevada at 3 in the morning, Johnny Heineken‘s car broke down so we packed everything into 1 SUV with 5 sets of wind and snow gear, dog and riders for the remaining voyage east. Snow kiting is just as it sounds. You choose either skies or snowboard and get pulled around on your kite- up, down, around and over what ever terrain you choose. I rigged my 13m foil kite, launching with ease and immediately got pulled across the meadow on my snowboard. Snow kiting has all the benefits of kiting on the water without the consequences of water itself. I dropped and tangled my kite quite a few times in the 8-12k breeze and easily unhooked and walked up the line and bridle to unsort it all out. For day 3 and 4, we switched venues to a location called Electric Lake along the Huntington Canyon Scenic Drive as the Skyline Peak was in white out conditions. It was more rolling hills and room to explore as the newbies including myself were still mastering the basics. I really can’t emphasize how fun and accessible snow kiting is whether you’re a newbie or a pro. The hardest step was committing and just getting there, after that the fun was nonstop. 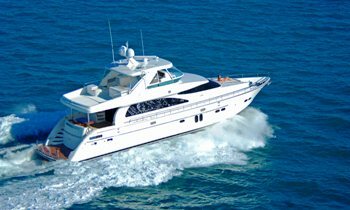 So choose your marine supplies here at Raritan Engineering, where we always take care of your marine supply needs. Raritan Engineering your marine products analysts would like to share with you these topics we thought would be of interest to you this month regarding how to encourage everyone to become sailing lovers. Your marine products experts know that at the end of last year, the SuperYacht Racing Association (SYRA) announced its intention to include a ‘Corinthian Spirit Class’ at its key 2017 regattas, whereby the participating yachts take a more relaxed approach to racing, with reduced competition and reduced costs. Your marine head gaskets professionals feel that the new class, which will focus on the social aspect of the regattas, has received a positive response so far – four yachts signed up for St Barths Bucket, including recently launched 70m Sybaris, and three for Palma’s Superyacht Cup – but SYRA believes that it will take two or three years to fully take off. And it’s not just the owners that need the persuading; SYRA acknowledges that a lot of the time it’s the captains that have the influence over entering a regatta. With simplified courses, no kites and no fleet starts, safety will still be paramount, but fewer people will be needed to sail the yachts and there will not be the same need to hire professionals. You can find more information as well as get assistance on marine parts depot at Raritan Engineering. He’s right. Your marine parts depot specialists know that a personal introduction is effective. We all know neighbors, workmates, relatives, etc., that we could bring along for a day sail or a casual race. When the question came to me, I was less specific. People, I feel, are attracted to shore. Your marine toilets electric analysts say that they fish, they beachcomb, they picnic, and they may happen upon and watch other people sail. “The focus of the America’s Cup was on drama and technology, which attracts coverage and viewers but doesn’t help the non-sailing public understand any path into sailing,” says John Arndt, of SailSFBay, a Bay Area non-profit dedicated to growing participation in sailing. Interestingly, a similar plan was hatched on the opposite side of the country. Sail Charleston, an organization also dedicated to increasing participation, planned to leverage the hugely popular Charleston Race Week to show people what sailing was all about. “It all worked really well,” says Greg Fisher, director of College of Charleston sailing. “All the various segments of sailing were on hand to answer any questions people had about the sport. Plus, depending on where someone lived around the harbor, there was someone with a program, ready to take care of their needs and sign them up." Your marine head plumbing experts know that when it comes to attracting spectators, what I find particularly brilliant are offshore races that start in view of land. The adventure element of these races easily captures the imagination of the non-sailor and tends to gain mainstream media attention. Starting in view of this audience is simply smart business. “We see our attendance is about 95 percent or more people who will have not seen sailing otherwise,” says Turner. “As to what might get them into sailing for the first time, I see that as a combination of factors: inspiration, accessibility, relative affordability, and pathway." Rich Jepsen, a sailing school professional and Chair of the Training Committee at US Sailing, says that growth comes from a target audience: “After years of trying to market sailing to would-be sailors, we believe there’s a narrow band of people that might be tempted to take up sailing because they saw it." Which brings me back to my initial contention. Our recreation has plenty of spectators. When an event is underway and viewable, it attracts more onlookers. Without a local organization dedicated to growing participation in sailing, I launched into Google and Yelp to compile a list of schools, rentals, and crew lists, and then wrote up some persuasive myth-busters about sailing. Raritan Engineering your marine parts depot has more information on marine products, and is proud to be your marine parts source. via How Do We Grow the Sport of Sailing? Raritan Engineering Company would like to share with you this week some amazing suggestions regarding tropical storm preparedness tips for you and your friends. The two most extensive articles appeared in July 2008 “Gear for Battening Down Ahead of Storms,” and “Tropical Storms Dos and Don’ts,” from November 2011. Our first choice in a storm is a haulout facility, preferable well-inland and out of the path of the storm. The facility shouldn’t be vulnerable to storm surge, and it should be equipped with fixed anchors to tie your boat down. Second choice would be a hurricane hole with good holding, again well inland and out of the storm’s path. • Dock line size varies both with boat size and expected wind speed. Your marine products specialists feel that boats docked in hurricane or other severe weather areas should consider going up a size from common recommendations. However, be sure your deck cleats can stand up to the loads (see point below). • Loads on the cleat of a 35- to 40-foot boat during an actual hurricane can exceed one ton. While boat building standards (the American Boat and Yacht Council in the U.S.) specify load-carrying ability, some older dock cleats are not up to snuff. • If your boat is 30-feet or longer and you do not yet have mid-ships cleats for attaching spring lines, consider adding them at the next opportunity. These should be sized and backed in the same manner as bow cleats, since loads are the same or greater. • Removing canvas and sails reduces windage. Specifically, remove the furling jib, one of the most common storm casualties. Dodgers and other canvas will also suffer if left up during the storm. • Don’t leave anything on deck. Even dense objects can be blown across the deck and do damage, or be lost overboard. • Use plenty of fenders. Fenders need to protect you from the dock and neighboring boats. A fender board can be particularly useful in some scenarios. • Floating versus fixed docks. Properly designed floating docks are generally considered a safer option than fixed docks, with some important caveats. The support pilings must be high enough for the predicted storm surge. • Lastly, any marina facing significant storm surge is simply not safe, but those protected from a long fetch by a low wave barrier are particularly vulnerable. Learn more from Raritan Engineering Company this month about all of your marine products supply needs. Raritan Engineering Company wants to share with you this week some simple pointers on managing your electrical wiring problems. The boat's electrical system is often the most vexing for boat owners—but it doesn't have to be. With the right tools, quality materials, and a modest amount of preventative maintenance, you can ensure a flicker-free (or nearly so) existence on the water. Of all the many maintenance jobs on a boat, DC electrical problems were probably among my favorite to deal with on Tosca—100 times more enjoyable than painting the bottom or cleaning the hull. Except for a few tight spots in the bilge and behind the nav station, all of the wiring and connections on our gaff-rigged ketch were easily accessible, so trouble-shooting required no contortions. A multimeter like the one that performed well in our digital multimeter test will suffice for most DC projects. When choosing a crimper, avoid the cheap combination crimper-cutters available in automotive stores. Ancor, maker of testers’ favorite budget-priced tool for stripping insulation makes a popular (but not inexpensive) double-action crimper designed for insulated terminal fittings; this makes it much easier to apply the correct amount of compression to insulated terminals. If you find extensive corrosion and need to run new wire, consider paying a little extra for pre-tinned, multi-strand "Boat Cable" labeled "UL 1426 Type III," which indicates that a wire is finely stranded (Type III) and complies with Underwriters Laboratory (UL) Standard UL 1426. We found that THHN machine wire held up just as well as tinned wire in our marine wire corrosion test, but if you buy in bulk, tinned boat cable is only slightly more expensive and will add to the resale value to your boat. Your marine products professionals know that most of the terminal fittings for our wire test were tinned copper fittings made by Ancor (ring crimp connectors and terminal blocks) or Ideal (heat-sealed crimp connectors and push-on connectors). Standard crimp connectors don’t do the job. What about protective sprays or coatings? Twice, Practical Sailor looked at anti-corrosion sprays suitable for wire terminals. In 2007, we looked the best anti-corrosion spray treatments for electrical equipment, and our long-term wire test compared protected and unprotected terminals. Match the Lug Terminal Size to the Cable Size. It matters. If you use too large a lug terminal, the air pockets or voids in the crimped joint (especially when using coarse stranded wire) will increase voltage resistance. Rotten to the Core: The wire that you are terminating must be completely free of corrosion and oxidation. If internally the wire is black or green in color, you must cut back until you find virgin copper, or consider replacing the wire (with tinned wire). Crimp Tip: Make sure that the strands of your wire don't extend too far out the front of the lug and into the terminals eye or spade contact area. Plastic Not Welcome Here: The best-insulated lug terminals are those with nylon insulator sleeves. Nylon resists UV, gasoline, and oil. Unlike the cheaper vinyl and plastic insulator sleeves, nylon will not punch through or crack and fall apart when the squeeze gets applied. Solder vs. Crimp: National Marine Electronics Association standards state that solder shall not be the sole means of mechanical connection in any circuit (with the exception of certain-length ship's battery cables). If inclined to add solder to a lug terminal, solder it after you apply the crimp. A good solder joint is bright and shiny. Click here for more information from Raritan Engineering regarding marine products or any related questions. Raritan Engineering Company your marine products international experts would like to share with you these topics we thought would be of interest to you this month regarding the art of action camera usage while boating. Your marine products international specialists know that with a little practice, you can use action ­cameras to add stunning angles to videos and catch spectacular still images on the water. Your marine supplies Toronto analysts know that as a boating journalist, my primary job had been to gather information for print articles. But the job description has changed: I’m often asked to shoot photos and video, too. I take pride in what I’ve learned about working with action cameras to get the shot. “Action cameras are changing the way we shoot,” says professional photographer Ben Hicks. “Especially in the towing environment, we had limits on what we could do. I’m looking for new angles: something different and unique. Action cameras are so small and light that I can get them in areas I just can’t get a DSLR. When I’m on assignment, I have to shoot with the DSLR.” He often rides on a tube, either in front of or behind a wakeboarder, shooting with his Canon EOS 1DX and a wide lens in a waterproof housing. Harrington, who often captures images specifically for GoPro, pushes action-camera shooting further. “We do a lot of ride-alongs, where we pass the camera back and forth,” he says. “Make one tow rope about 5 feet longer, and use an extendable pole — the longer, the better — so you keep a safe distance.” Harrington adapted a 12-foot telescoping boathook. Your marine supplies UK experts suggest that a painter’s pole with a threaded GoPro adapter or a Shurhold boat-brush handle with their GoPro adapter is great for wakesurfing shots. Avoid any play in the telescoping mechanism for ride-along shots at wakeboarding speed, though, or video becomes too jittery, even when using the Virb XE’s built-in video stabilization. “You have to get really close to the subject for it to stand out,” Hicks says. “If you’re not close, a rider will look like an ant in the photo.” That proximity can be tricky, though. “Think about how that image is going to distort. “GoPro’s wide field of view makes composition less critical,” says Sport Fishing magazine editor-in-chief Doug Olander. “Just guesstimate, being mindful to keep the camera horizontal, and move it around. Shoot ultrahigh-definition video for sharp images and flexibility when editing. For slo-mo clips, switch to 1080 at 60 or 120 frames per second, and fly closer to capture details of the trick. “When it’s bright daylight, in perfect blue skies, that’s when action cameras do well,” Hicks says. As light diminishes, image quality suffers. Challenging light also throws exposure meters awry. “Point a GoPro into the sun for a silhouette, and it has a tough time metering [the light],” he says. You can find more information as well as get assistance on marine products for sale at Raritan Engineering. Getting this shot from down low makes the board seem larger, accentuating the trick, and the rider stands out against the clear blue sky. Garmin chose a GoPro-compatible mounting system for a reason: Your marine parts online specialists feel that there are thousands of third-party accessories for that particular mount. I also use RAM mounts, based on 1-inch balls and connecting arms, to enhance mounting flexibility. Each new generation of action cameras extends capabilities with higher frame rates for super-slow-motion HD video, ultra HD video, and better low-light performance. “We went from film to digital, and now to tiny little cameras that we can put anywhere, even in midair,” Hicks says. “When the angler is landing or holding fish, extend the GoPro out on a stalk well outside the boat, looking in, and let it snap away,” says Sport Fishing magazine editor-in-chief Doug Olander. Outrigger mounts work great on large boats, mounted low with the camera pointing back toward the cockpit. Be sure it’s level to the horizon. For underwater shots, consider using a GoPro encased in waterproof housing and an extended camera pole. West Coast editor Jim Hendricks uses a 6½-foot camera pole or attaches it to the handle of his deck brush. Raritan Engineering your marine products international supplier has more information marine products at our website. Don’t let this happen to you! November is the time of year when the postponing catches up to people. The huge tasks we avoided all summer stare us in the face. Do absolutely nothing, and you run the risk of a summer lost pulling epoxy from your hair instead of sailing. If your boat is actually 20 years old or even older, a fuel tank replacing– a bear of a project, even in optimal circumstances– may be that project you’re delaying. If it is, well, you’re in luck, since we’ve got a reasonable bit of information to help guide you through the process. Marine consultant and technical writer Steve D’Antonio wrote an extensive article about tank replacing previously. The following excerpt from that short article deals explicitly with aluminum, however, there certainly are other options. The alloy used must be 5052, 5083, or 5086 series and a minimum of.09 inches thick. This specific gauge is ABYC authorized, but, 1/8-inch (.125 inches) is preferable, and 1/4-inch (.25 inches) should be considered when it comes to “extreme” applications, like bilge installments or perhaps where optimal resilience and longevity is sought. Every fraction of an inch of wall thickness will buy more years of life, especially if the installation is less than perfect. To prolong the tank’s life as well as minimize the chance of any possible harm, bonding the tank is also a good idea. Bonding the tank is an American Boat and Yacht Council requirement for several reasons: to avoid electrocution for shore-power-equipped vessels, to mitigate lightning damage, as well as to prevent side-flashes (electrical current jumping in between metal components during a lightning strike). According to the ABYC, the boat’s bonding system, the DC negative system (which includes the engine block and battery negative), and the AC safety ground all must be connected and remain at the same potential. The resistance between any two components in this system should not exceed 1 Ohm. (It’s essential to keep in mind that any bonding wire attached to the engine block must be sized to safely carry full engine cranking amperage.). So don’t forget to browse our marine products selection here at Raritan Engineering. So don’t forget to buy your marine products here at Raritan Engineering where we take care of all your marine supply needs. Your marine products experts say, wind junkies beware, there is a new sailing discipline out there that might just force your wallet open, rearrange your life’s priorities, and produce a little friction on the home front. But don’t worry, those few nights you might have to spend on the couch will be worth it, I can assure you. Kite-sailing (or kite-surfing) has arrived on the scene and is causing quite a disturbance in the households of windsurfers, wake boarders, and small-boat sailors alike. So how does a conventional sailor get started? We’ll if you remember how difficult it was to get that first ride aboard a windsurfer, you’ll realize that knowing a few important aspects about this new discipline can truly help accelerate your rate of learning. Your marine products pro shop analysts say that the first thing to do is find an instructional video. Most kite dealers will have a few to choose from, but one video recommended across the board is Boost. No matter where you’re located or what water sports background you have, kite sailing is fun, but unusual enough to present a steep challenge for the beginner. The good news is that the learning curve is nearly vertical, so it won’t take too long before you are up and riding. Your marine parts depot specialists know that ram-air kites are basically rectangular kites that allow air to flow into chambers and inflate, thus giving the kite its shape and rigidity, allowing it to perform. The advantages of ram-air kites are that they’re extremely maneuverable, and due to their flat design, have more power per square meter than their inflatable siblings. Inflatable kites are by far the more popular of the two. But should you choose to purchase an inflatable there is more information you’ll need to know. There are different types of inflatable kites on the market. The first type is called two-line. Yep, you guessed it, the kite is controlled by two lines. These kites are remarkably simple to set up, very easy to water-launch, but when flown are fixed in a fully powered angle to the wind. So if the wind gusts, you are going to feel it and have to compensate. If you decide to follow the trend and get into kite sailing, another thing you’ll want to know about is the idea of aspect ratio. In a vast oversimplification, aspect ratio refers to the shape of the kite and specifically the curve from end to end and width. The boat’s electrical system is often the most vexing for boat owners—but it doesn’t have to be. With the right tools, quality materials, and a modest amount of preventative maintenance, you can ensure a flicker-free (or nearly so) existence on the water. If you find extensive corrosion and need to run new wire, consider paying a little extra for pre-tinned, multi-strand “Boat Cable” labeled “UL 1426 Type III,” which indicates that a wire is finely stranded (Type III) and complies with Underwriters Laboratory (UL) Standard UL 1426. Crimp Tip: Make sure that the strands of your wire don’t extend too far out the front of the lug and into the terminals eye or spade contact area. Solder vs. Crimp: National Marine Electronics Association standards state that solder shall not be the sole means of mechanical connection in any circuit (with the exception of certain-length ship’s battery cables). If inclined to add solder to a lug terminal, solder it after you apply the crimp. A good solder joint is bright and shiny. So please do not forget these amazingly helpful suggestions and reminders in order to manage even eliminate your stress while sailing. 1) Stress is a big part of life and is unavoidable; 2) don’t have extremely high expectations; and do regular boat maintenance. We have the first manual fresh head marine toilet to utilize pressurized fresh water – eliminates calcium deposits in discharge hose.